There are a few things that year after year impair my enjoyment of the slopes, namely: freezing fingers, poor visibility and lack of regular toilets. The latter two are pretty hard to influence, the first however I am determined to eliminate this year so I have bought myself a pair of heated gloves! 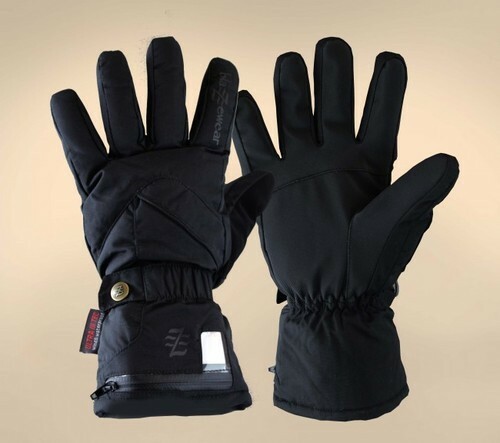 I have to admit to having spent most of my ski clothing budget on my Ralph Lauren jacket and salopettes so I am purchasing a more mid-range glove. It seems that it will not be heating my hands like the top of an Aga but they heat to 45"C and I don’t have to carry a battery pack on my back either, as I’m opting for the rechargeable lithium one. Yey! Has anyone got any other keeping warm tips?